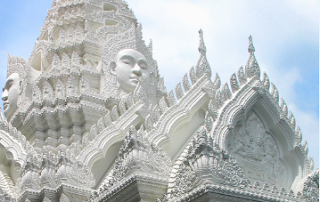 On our family trip to Thailand, we booked 3 days to stay in the capital city fo Thailand, Bangkok. 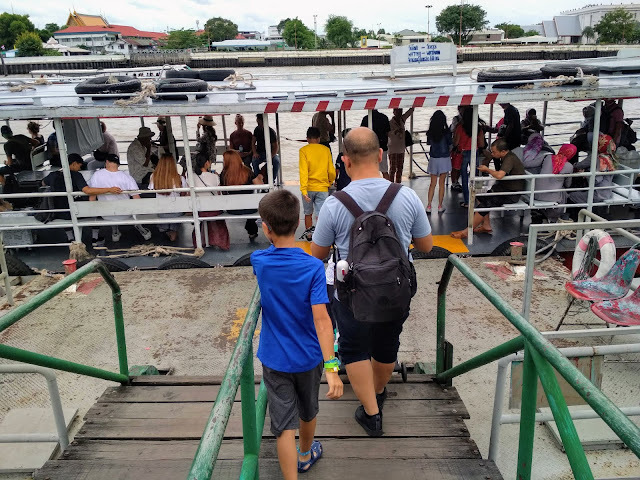 Bangkok, with his with more than 9 million inhabitants was always a city that fueled our curiosity and, after searching the best area to stay, we booked our hotel in the "old Bangkok" area (see here the best way to get from Don Mueang Airport -DMK to Khao San Road). 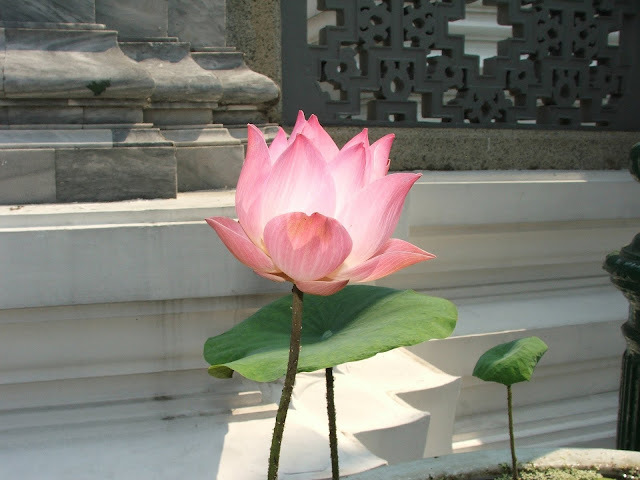 The reason for this choice was the proximity to our main sightseeing choices in the city, namely the temples area, but also the be in the center of the agitation that we are used to see. Allied to this factor, it also had the added advantage of being in an area rich in restoration and, with several offers at the level of tour operators, because there was a tour that we wanted to realize and, about which we will speak later. Our stay actually consisted of 3 nights but only 2 full days to get to know the city, because the first day we arrived at the hotel at 6pm, so we could only enjoy a bit of that night and, after the third night at the hotel, was just eating breakfast and traveling to Krabi, our second destination of our family trip to Thailand. 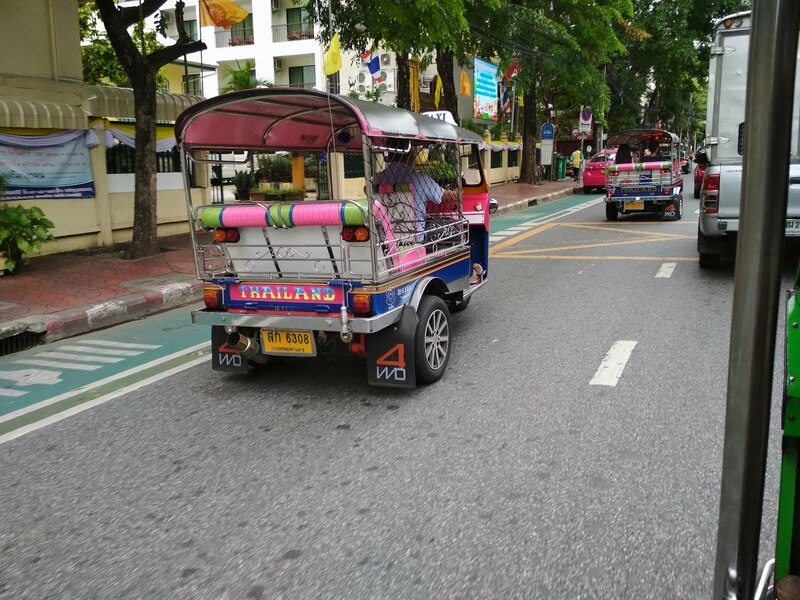 Two days and three nights are not enough to get to know the city of Bangkok but we have tried to organize our stay to get to know and make the most of what this gigantic and vibrant city has to offer. In this way, we made the following itinerary for our family trip, which we will share with you in the hope that it will help you to organize your trip. 1- Grand Palace and Wat Phra Kaew (Emerald Buddha). Our first destination started with the Grand Palace and Wat Phra Kaew, were you can see the Emerald Buddha). To that end, we started our day with a delicious breakfast at our Korbua House Hotel. Then, after a quick but exciting and fun tuk tuk ride, we arrived at the Grand Palace. The entrance to the Gran Palace cost 500 BAHT and, children over 1m20 pay but, we did not seem too picky about it as our son was about 1m30 in height and they did not charge entry. However, we leave the strong suggestion that you wear light clothing to cover your knees (well below your knees) and shoulders, otherwise you will have to buy pieces of clothing to cover. In our case, despite the knees covered, we were forced to get some pants for 200 BAHT. This is a must visit for anyone visiting Bangkok and, after going there, will know why. 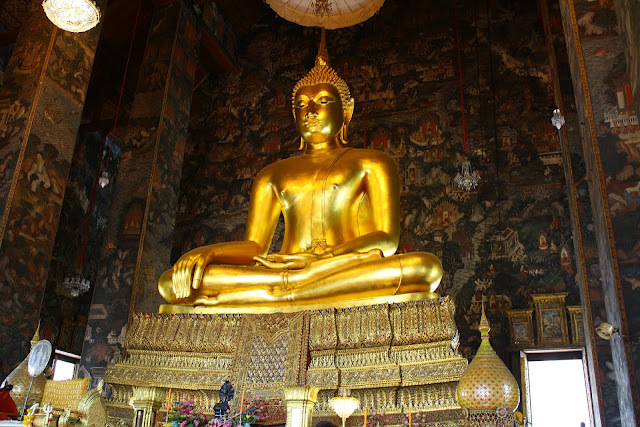 The whole space is beautiful, perfect and, even though the Emereld Buddha is small, it is extremely beautiful. 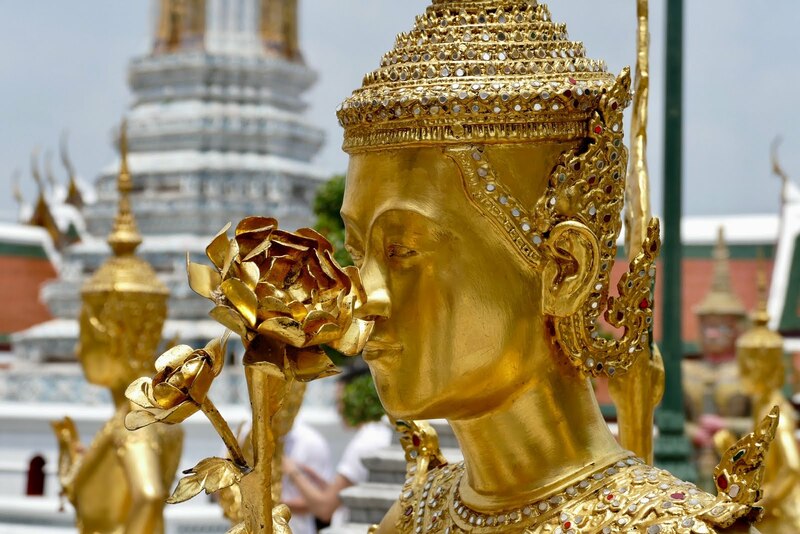 The visit to the Emerald Buddha is included in the Grand Palace ticket. The opening hours are from 8:30 a.m. to 3:30 p.m., and you can access more information through its official website (here). Another advice that we want to give to you didn't happen properly with us, but we read several testimonies of those who went through it. And what we wanted to let you know is, when when approaching the Grand Palace, if you are approached by people who tell you that it will be closed on that day, and they will trie to recomend you to other temples or attractions, don't believe what you are told, follow the normal path to your destination. It's just schemes to seek you to paid attractions or to shops. Do not worry about security, no one is aggressive but, it's a scheme that will make you waste time (and maybe money). 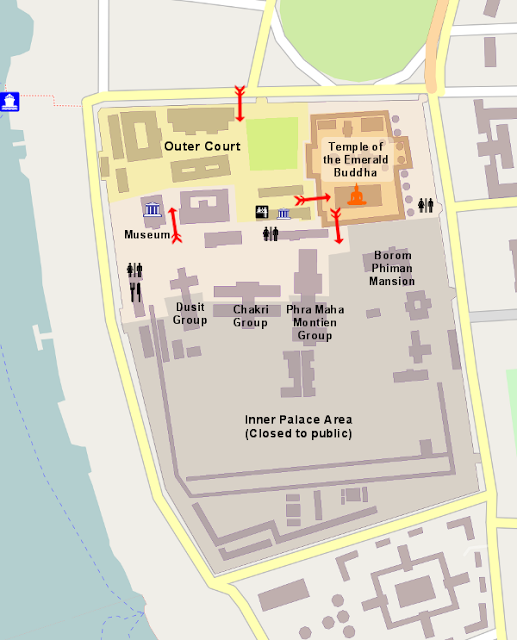 See here on this map where you can enter to the Grand Palace in Bangkok. Another of Bangkok's signature images is the Reclining Buddha, and to get there you do not have to walk too much (5 minute wak, less than half a kilometer). The entrance is fast despite being able to find queue and, the ticket of visit (100 BAHT adult, in relation to the children verified the same situation as in the Grand Palace) will entitle to a bottle of fresh water which in the heat of Bangkok, is always welcome. 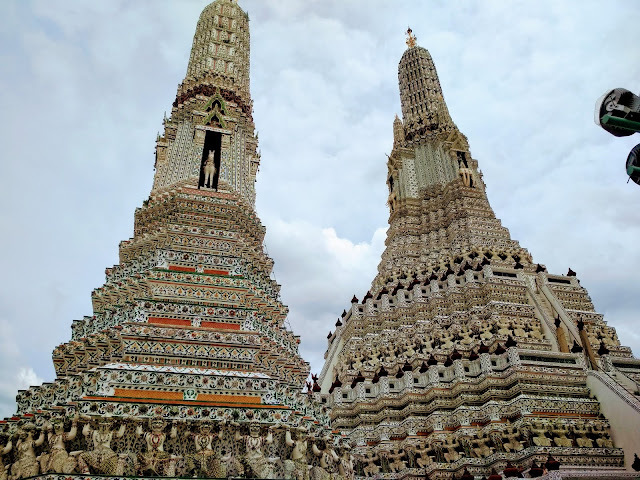 Then we went to Wat Arun temple, which is on the other side of the Chao Praya River (see here how you can get to Wat Arun from Wat Pho). 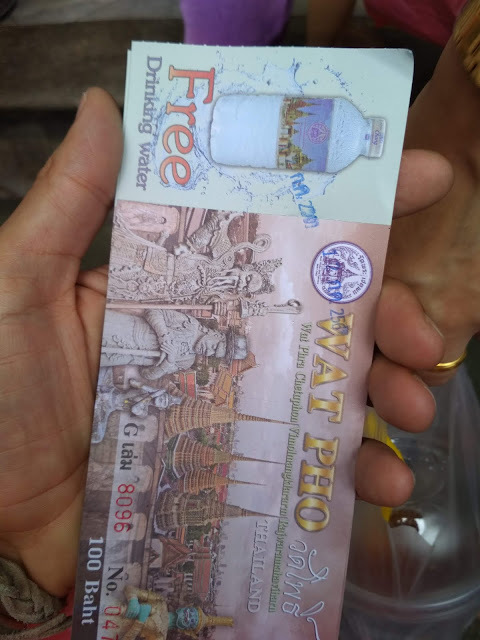 The entrance fee is 50 BAHT per person and is worth doing, as it is perhaps the most beautiful Buddhist temple in Bangkok and the perfect place to watch the sunset, it is said. This was not our case, because we arrived very early and we still had plans for that day. Make sure the climb is great but rewarded by the view. After the temple visit, we took the boat to the other side of the Chao Praya river to visit the Saranrom Park. The walk is not great (just over half a mile) and this is a great place to rest and watch as locals take time to relax and exercise. It also has a very good playground and, for a family trip, is a perfect place for your children to play freely. This park was also famous for having several "lizard varano" but, as many were taken to "a sanctuary", as accidents with cyclists and corridors were causing accidents, which could harm the lizards and thus to protect them, we could not see them (we would see later, next to our hotel). 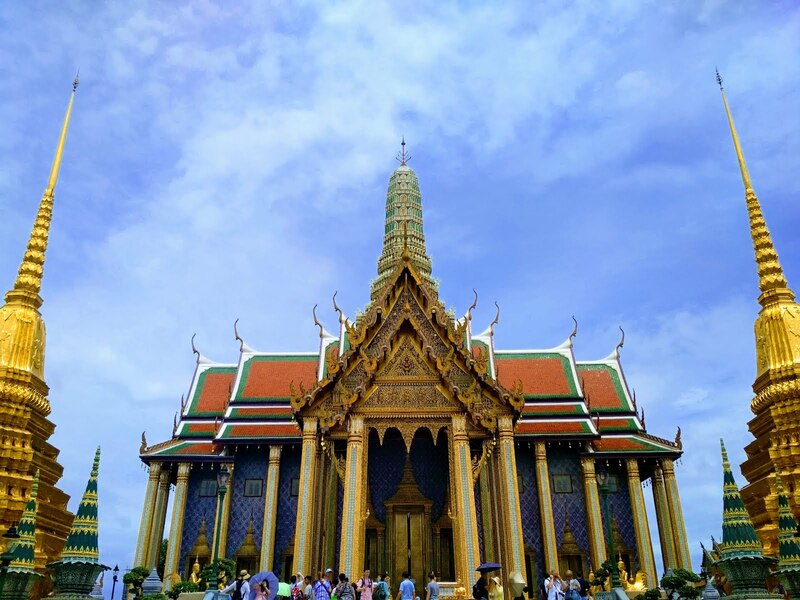 Right next to the park, we took the opportunity to visit the Wat Ratchapradit temple and, although little famous, this is a beautiful temple, free admission, worth visiting and you will love the time you spend there. Quieter, fewer people, and a great tranquility and peace that will gladly leave you there. Admission is free. Our day was already big, but our tour of the temples was not over yet. 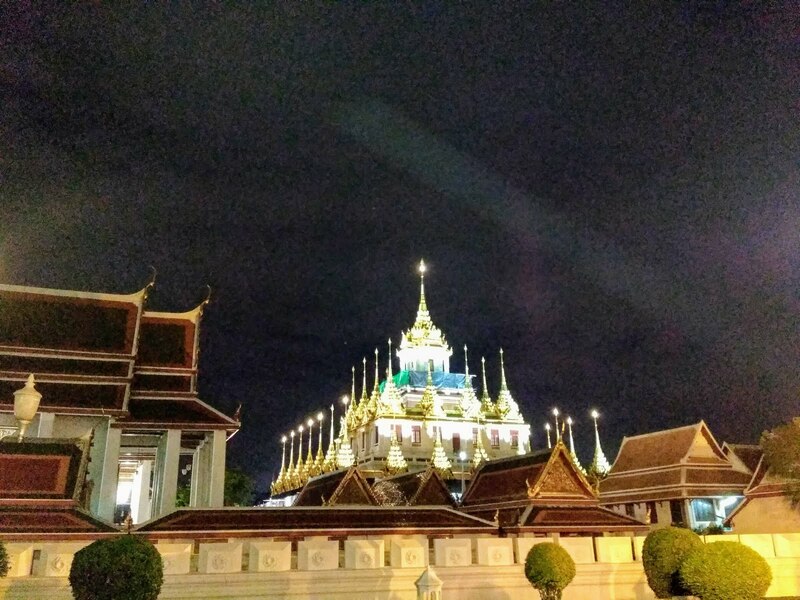 Although we may think that after many temples, they can be very similar, each of them ends up having its beauty and, even though it is closer to the end of the day, this one has not without its charm, in fact, much charm and peace, because it also does not own many people when compared to other temples in Bangkok. This is a Buddhist Temple a bit different from the rest but we just saw its exterior. The entrance is 20 BAHT. 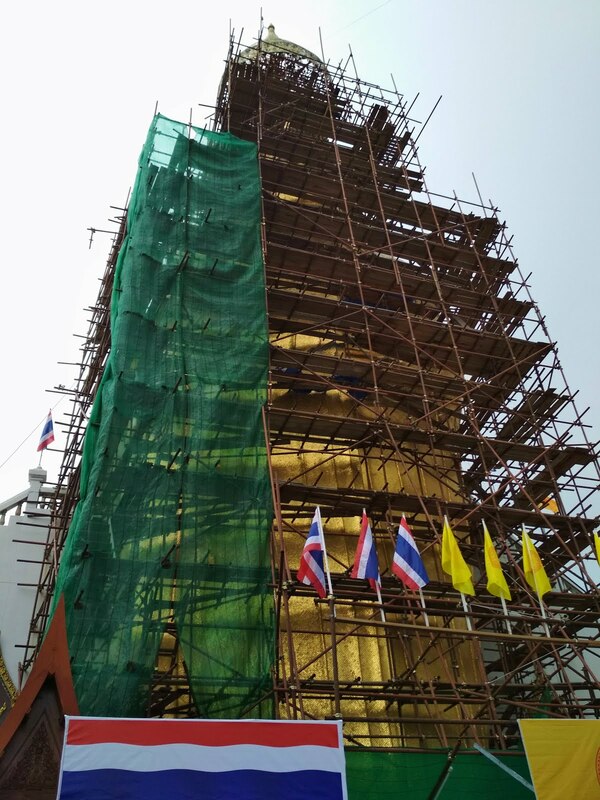 For our last visit to a temple, we returned to take a Tuk Tuk, this time towards Wat Indra Viharn, to see the statue 32 meters high of the Grand Buddha. Unfortunately the statue was being refurbished and you could not see its beauty but it will certainly be something to visit on your trip to Bangkok. Towards the end of the day, we again picked up a tuk tuk, which left us by Khao San Road, where we took a stroll along this street, as well as Rambuttri Road, where we took advantage of dinner as well as book the tour for our next day. This was undoubtedly an intense and long day and, It was only possible to achieve all our goals because we we woke up early and we use tuk tuks to maximize the time and allow us some rest. 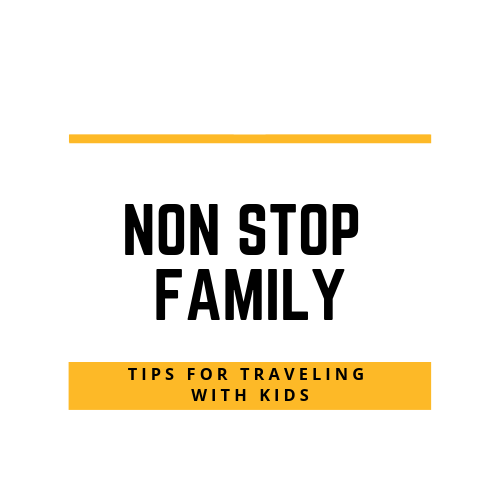 In addition, in a family trip, your children will love these moments that, although frantic, are not without safety. 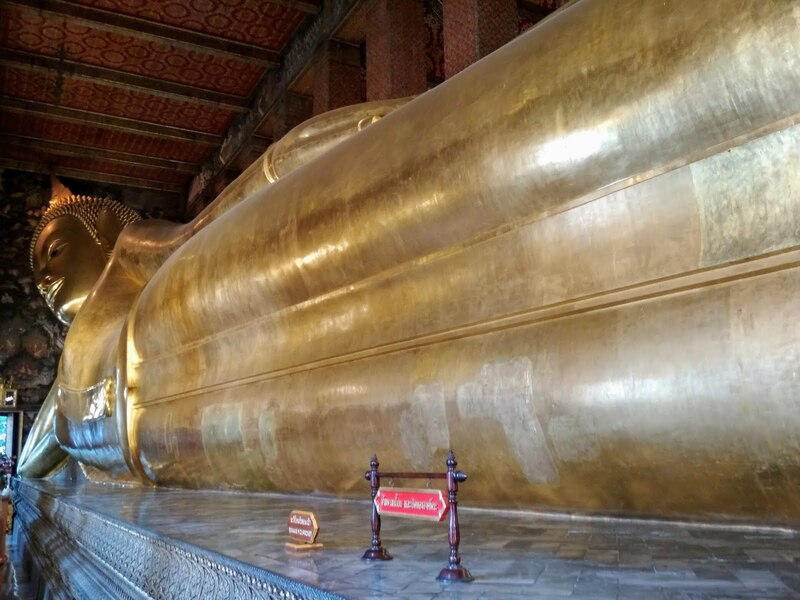 If you have more time in Bangkok, we recommend that the itinerary of this day be realized in two days but as we had not this time since we had plans for the second day, we had to accelerate this process. See here for our second day in Bangkok. 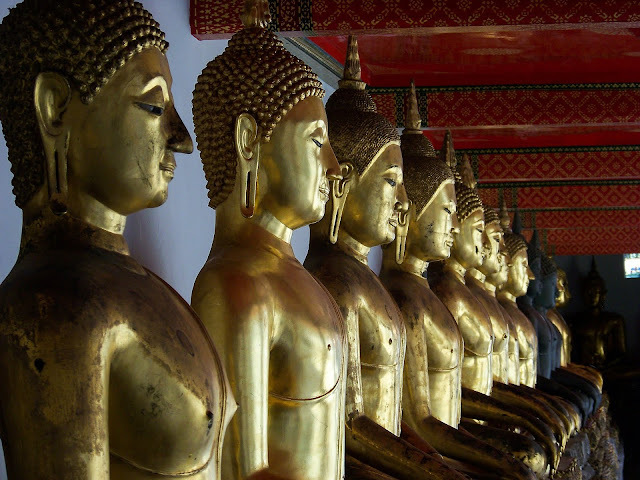 We hope our tips help you organize your family trip to Bangkok. Do not forget to leave your comments and advice as well as to explore further our Non Stop Family blog. If you want to see our second day in Bangkok, click here. 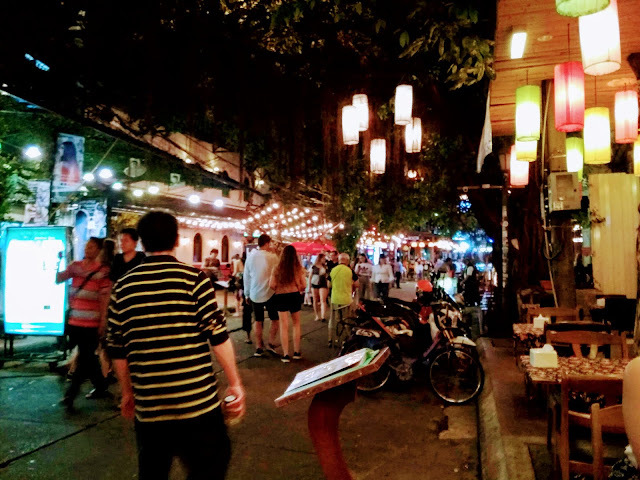 My family and I spent about 2 days in Bangkok too! I feel like we accomplished so much as well, which was amazing! I do wish we visited other places in Thailand, but maybe next time! Wow! All that architecture is amazing! Completely different from what you see in the Western world :) Would love to visit! It always fascinates me to see other parts of the world. Thanks for sharing and taking such nice photos! Thailand has always been on my list and is even more so now. Thank you for sharing these incredible images. I MUST visit! wow, beautiful places and pictures. I especially love the Temple of the Dawn structures. Thanks for sharing. Oh wow Bangkok looks like a wonderful place. I definitely would love to vist there one day if I can. Would you recommend using the hotel you stayed in? If so, where was it? Many bloggers visit Bangkok these days. I feel so grateful for just looking at all of these amazing pictures. Would love to visit it one day myself too! There's so much beauty n Bangkok. I still can't believe you were able to throw in all this in two days -- impressive. Bangkok is one of my travel list! Very affordable and has a lot of tourits attractions. :) Love your photos! I have never been to Bangkok, Thailand and it i already in mu bucket list and seeing these photos inviting me to pack my things and go there! Wow, such a detailed post that would be so helpful to plan a great trip to Bangkok. Loving the pictures so much. Really great photos and so many interesting places. i hope someday i could visit there with my lovely daughter. All that architecture is amazing. This post is so informative and I love to visit places like these. Thailand is one of the best place i ever been from their history to culture and the to story behind those beautiful site.